Time for a Financial Health Check? Here are some common considerations to ask yourself to check if your financial wellbeing is on track. Need a clear picture of where you stand financially? Know you need to get on top of your finances but keep putting it off? Feel overwhelmed with information sent to you but don’t know who to have explain it to you? Already have an ISA and pension but want to know what else there is to invest in? Have cash but don’t know whether to pay off the mortgage or invest it instead? If you have answered ‘Yes’ to any of the above it’s time to see a financial GP! When was the last time you had a financial health check or perhaps you never have? Many people think they don’t need financial advice until they need access to money – such as taking money out of their pension or paying care fees. But who do you go to for professional, qualified advice and what should you expect? You want to know answers but what questions should you be asking? As a new member I want to offer all fellow members a no-obligation initial meeting. I’m here to help by hearing your concerns and help evaluate what you are looking to achieve financially. I’m a true believer that one’s life choices are entwined with their finances. In other words when someone is at a crossroad and needs to make a choice, money pretty much always is a key factor. I am passionate about helping my clients plan for their future as if it is left to chance, there may be no options to choose from. Visit my website or email me a note or request a brochure. The Partner is an Appointed Representative of and represents only St. James’s Place Wealth Management plc (which is authorised and regulated by the Financial Conduct Authority) for the purpose of advising solely on the Group’s wealth management products and services, more details of which are set out on the Group’s website www.sjp.co.uk/products. The title ‘Partner’ is the marketing term used to describe St. James’s Place representatives. 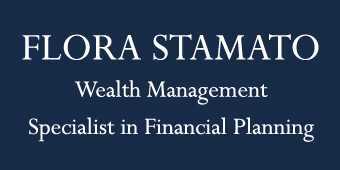 Flora Stamato is a trading name of Flora Stamato Limited, which is registered in England and Wales No. 8830134. Registered office: 11 Hamilton Place Mayfair London W1J 7DR.